A clean, contemporary design and the convenience of simply hanging, plugging in and enjoying. Safe and reliable. The EFL32H Electric Fireplace will not burn fingers if touched. 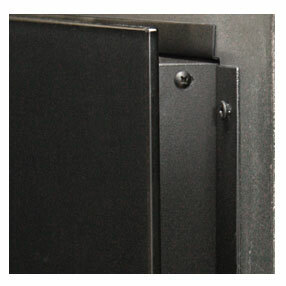 The included wall mounting bracket can hold up to 100 pounds of weight. This piece of art will not fall off your walls. Napoleon’s Slimline Series EFL32H Electric Fireplace has a 5 millimeter thick tempered glass front and high-powered LED lights that will last for years to come. With the thinnest profile in the industry, the EFL32H protrudes less than 4 inches into the room and can be recessed into the wall, taking up even less real estate. 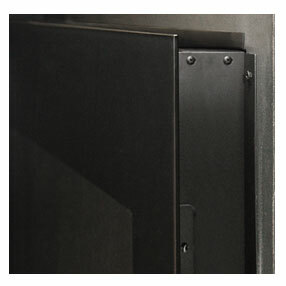 The linear, slim design of the EFL32H Electric Fireplace is a small addition with big impact. It will enhance the look of every room. And it can go in anywhere in your home. Imagine the sparkling elegance of the glass ember bed with the cozy warmth of a shifting fire. 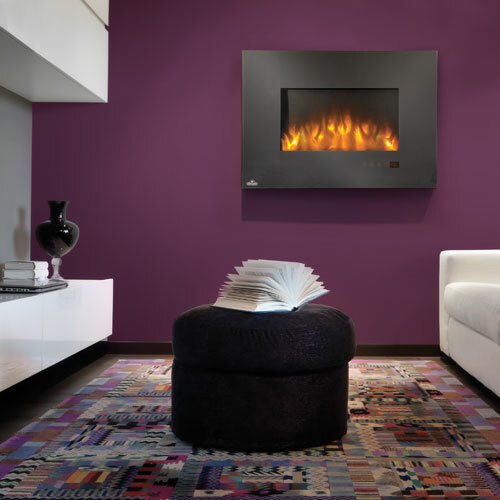 The Napoleon Slimline EFL32H Electric Fireplace is an inexpensive, instant update that will change you feel about your room.